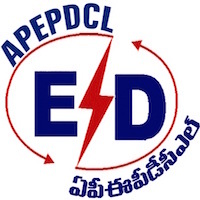 Online Application Details for Andhra Pradesh Eastern Power Distribution Company Limited APEPDCL Recruitment of 4 Sub-Engineer and 3 Junior Assistant is given below. Application form and duly attested documents are to be sent to relevant Superintending Engineer of Andhra Pradesh Eastern Power Distribution Company Limited of Srikakulam, Visakhapatnam, Eluru, Vizianagaram. In envelope super scribed with 'Application for the Post of Post Name'.